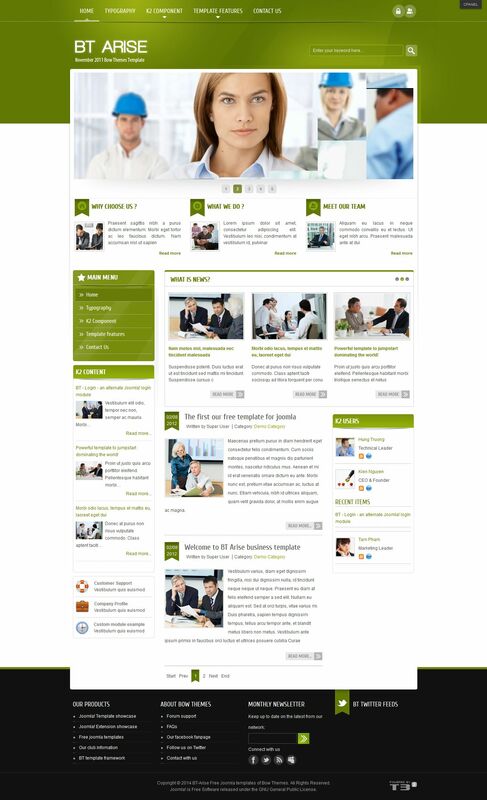 BT Arise - posh business template from a little-known design studio Bow Themes. This template contains 5 color themes and is fully compatible with the component K2. Ideal for creating websites cards. The template uses a new version of the T3 Framework Version 2, which gives it a fast loading and high functionality.